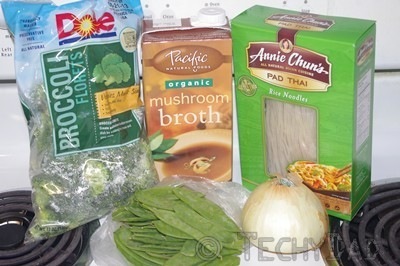 Luckily, while browsing the supermarket shelves, I stumbled upon Pacific Foods’ mushroom broth. Now pho isn’t usually made with a mushroom broth, but the vegetarian pho recipes I read mentioned cooking the broth with mushrooms before straining them (and some of the other ingredients) out. 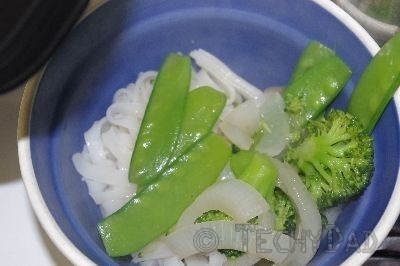 Next, I trimmed the snow peas, sliced the onions into rings, and then sliced those rings in half. 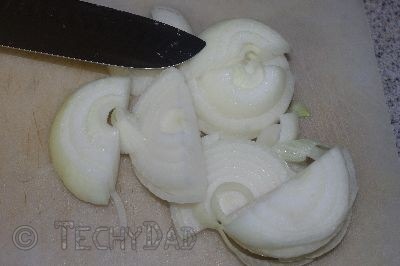 Quick tip: to avoid the "onion cry", freeze your onions for a bit before slicing. Not so much that you’re trying to cut into a frozen-solid onion, mind you, but just enough that the enzymes that make you cry don’t get released as much. 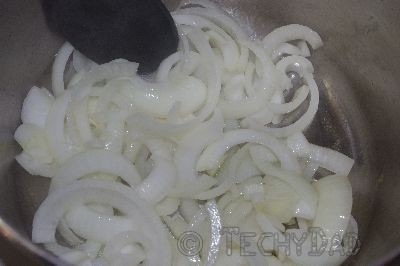 When the onions began to caramelize, I tossed in the broth and increased the heat. 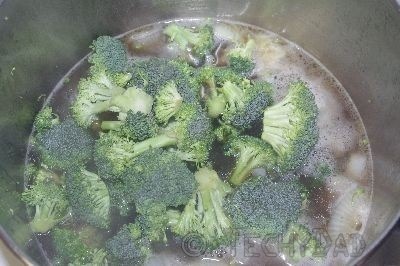 After the broth began to boil, I turned the heat down and tossed in the broccoli. 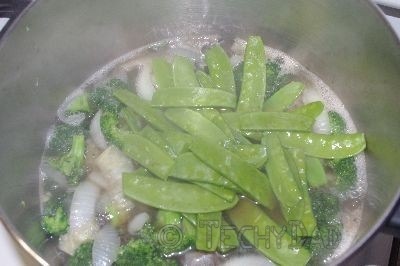 Two minutes later, I tossed in the snow peas. A minute later, I removed the soup from the heat entirely and pho was ready to be served. 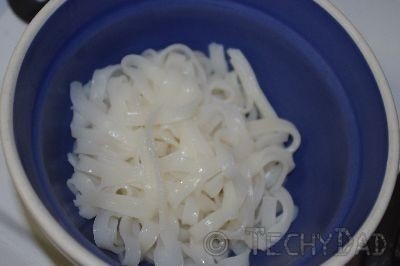 To assemble the pho, first put some rice noodles in a bowl. 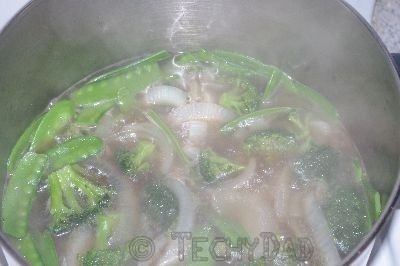 Next, add some veggies from the soup pot. Finally, top off with broth. Serve with hoisin sauce and/or Sriracha sauce or neither if you prefer. 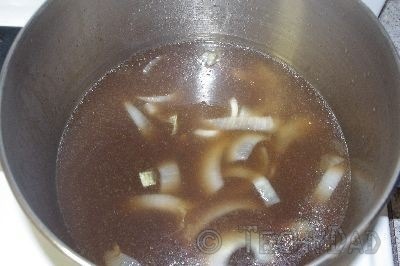 You could also toss some bean sprouts and/or jalapenos in just before serving depending on how you like your pho. So how does it taste? Well, it won’t ever replace real pho, that’s for sure. 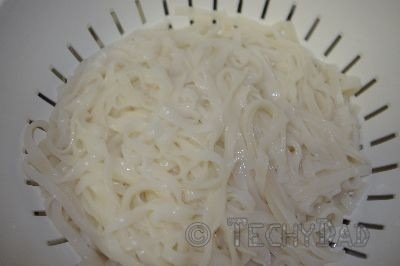 Don’t make this and expect that you’re going to get the same pho that you’d get in a good Vietnamese restaurant. 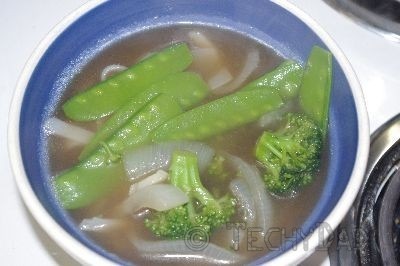 (If they made pho this way, they wouldn’t be a good Vietnamese restaurant.) Still, it’s a decent facsimile especially if you only have a short time to prepare dinner, are craving some pho, and can’t go to a Vietnamese restaurant to get some.